Ronobir LahiriÂ has been bothering and been bothered by Indian music for more than 2 decades.Â After intense classical training in Calcutta, India as a teenager,Â under Sri Deepak Choudhuri, the preeminant disciple of Pandit Ravi Shankar, he returned to this country, and in addition to developing a thriving career as an actor,Â began composing scores for theatre, film, and television. Â He graduated from Yale University in 1994, with a BA in Theater Studies and Literature. Several years in New York City included a year long run in the Tony-Award winning Broadway revival of The King & I, as understudy to the King, as well as a Helen Hayes Award for an Original Score composed and performed for Tom Stoppard’s Indian Ink, in Washington D.C.Â Three summers at the Williamstown Theater Festival included acting work alongside the likes of Olympia Dukakis and Campbell Scott, as well as the completion of several major theatrical scores. In 2001, he moved to London to join the West End cast of The King & I, and in ’02, ascended the throne, playing the title role of the King of Siam on the UK tour, opposite screen legend Stefanie Powers.Â He inhabited the role for over 2 years, and revived the production for his fifth go-round in 2005, on an American tour, once again opposite the inimitable Ms. Powers.Â It was this tour that landed him in Los Angeles, culminating at the Pantages Theater in Hollywood.Â The Southern California climate was too welcome to overlook after a thorough tenure in London, so he stayed put in L.A. Soon after coming to Los Angeles in 2005, he recorded and produced his debut album, Broad Strokes, which marked a notable departure from the North Indian Classical Tradition.Â His second album, on sale on iTunes, CD Baby, and other online retailers, is also self-produced, and titled Joy for Silverlake. 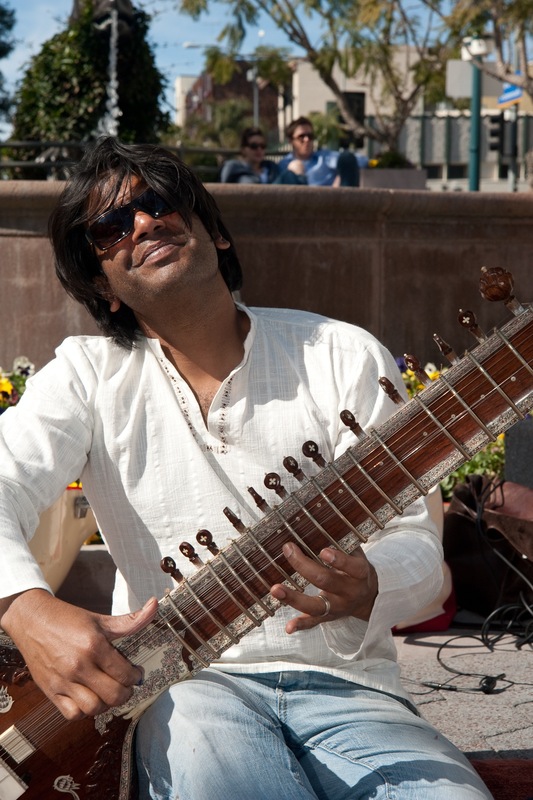 Using elements of raga and tala theory, in Silverlake, he explored the tension between computer generatated music and human emotion.Â By overlaying traditional Indian ragas onto ambient, house, techno, and club tracks, he sought to create a sound environment both intense yet soothing, joyful yet profound, uplifting yet understated. More than anything else, he embarked on this experiment with great respect and humility towards the rich and complex Indian musical tradition from which he came. As a composer, 2008 brought his first assignment from HBO, in the form of a promotional year-end film retrospective, to highlight the blockbuster films the network had shown over the past 12 months, and preview the new films to come in 2008.Â A tongue-in-cheek Indian kirtan, complete with original Sanskrit lyrics, modernized and tailored to picture, perfectly fit the bill, showing a sense of humor inherent in Ronobir’s work and life. In 2009, HBO called again, this time for an homage to Nascar, in the style of epic, period Hollywood.Â Ridley Scott’s Gladiator was the template,Â Zimmer’sÂ soundtrack the springboard, and the score ultimately transcended border and period to create a marvelous and hypnotic hymn to speed, danger, and fierce competition. In 2010, the piece won the Sports EmmyÂ® â€“ Outstanding Sports Promotional Announcement. He continued his career as a Music Director in 2009 for the Franco Dragone-produced, “India!,” which was created in Frankfurt, Germany, and subsequently travelled to Hamburg. With his sitar, he led a 14 piece band in the music of A.R. 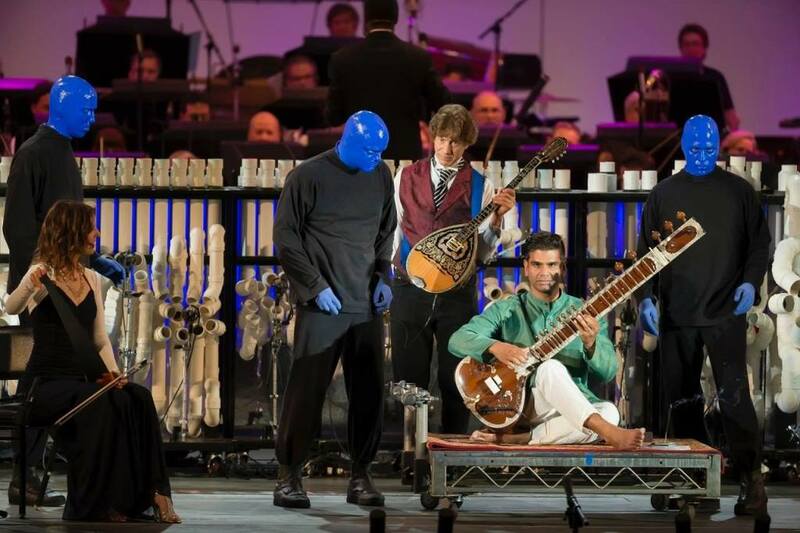 Rahman, Peter Gabriel, Sting, and others. 2010 saw him as resident composer for Hand Crank Films, for which he has produced scores and soundtracks for over 20 television commercials and promotional films. 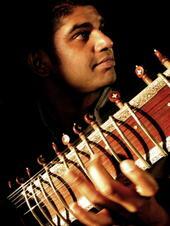 In 2013, he played sitar on an album for Ziggy Marley, and an album for Katy Perry. 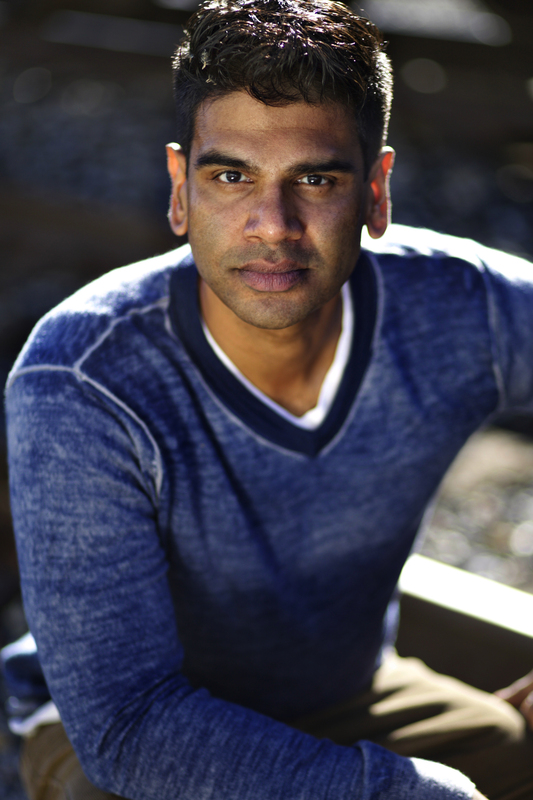 In the fall of 2016, he played Amir in the Pulitzer Prize winning play, Disgraced, at the San Diego Rep, and was nominated for a San Diego Theatre Critics Circle Award for Best Lead Actor in a Play. I got into musical theater accidentally. My first agent in NY sent me to audition for The King and I on Broadway, so I called a friend and learned an up-tempo legit audition song. One week later I was standing in the wings of the Neil Simon Theatre at a Wednesday matinee, trying to learn the blocking for the King of Siam. Lou Diamond Philips (who was in the title role at the time) snuck up behind me, lifted me up in bear-hug and almost pushed me onto the stage. He put me down, and cackled, “You ready yet?” then made his entrance. That was my first time meeting him. I was 23 years old. 6 years later I was in rehearsal for the title role on the stage of the London Palladium, opposite Stefanie Powers. When we opened in Edinburgh, I arrived in the city to see my face plastered all over the sides of the double-decker buses. My first passion was always acting. When I started, there weren’t a lot of Indian actors in NY, and there weren’t a lot of roles being written for us. I popped my cherry on Law and Order, more than once, a rite of passage for the New York actor in the 90s. I played taxi drivers, motel clerks, busboys, computer technicians, and the ubiquitous “Dr. Patel,” more times than I’d like to remember. It was all, for the most part, on established prime-time network shows, and I was young and just happy to get my face on television. After about a decade of this, and the roles not really getting any more interesting or fulfilling, I realized there might be a problem with representation, of how Indians and Indian-Americans are presented in American film and television. I’d been a SAG actor for more than a decade before I got to play a role that didn’t require the Indian accent. And even though my skill as an actor grew, as it often does with the gathering of essential life experiences, the available roles simply weren’t there. All there really was, after all this time, was Dr. Patel. The message the industry was sending me was that if I wanted a role in the American narrative, it would always be supporting at best. In its own accidental or serendipitous way, my musical path gave me the outlet that I have been longing and missing. By remixing classic American songs, with an Indian instrument and my voice, I was able to convey an authentic experience of what it is to grow up American, of Indian heritage. I sing the songs in a voice that is undeniably American, and play them on an instrument that is quintessentially Indian. The combination is a unique sound that carves out the space for my story to be told. These days I play mostly weddings. Ridiculously big-fat Indian weddings. I saw a construction crew enlarge the front door of the Bellagio in Las Vegas so that the groom could ride in on an elephant. I played a dinner set in Laguna, where, at around midnight, when most of the guests had already staggered off, John Mayer walked in a played 45 minutes on an acoustic guitar. And while being a wedding musician isn’t exactly the dream I had for myself as a 12 year old kid in New Jersey, watching Bruce Springsteen on tv command a stage with a red bandana, 3 chords and the truth, the irony of the fact that me and my kids are being supported by the uncles and aunties from the old country isn’t lost on me. As it turns out, Dr. Patel now hires me to play every Saturday. A whole generation of Indians, like my parents, came over here, hit it big with the American dream, and when they plan to marry off their sons and daughters in a manner of opulence that is previously unheard of, they call me, to bring in the authentic sound of the Indian-American experience. They call me to soundtrack the happiest and proudest day of their lives with the musical expression of the old culture, blending seamlessly with the new. A profound respect for where we all came from, with a loving embrace of all that the new country has given us, as we continue to dream bigger dreams for generations to come.